Originally from Santiago, but based in Puerto Natales, Jaime has spent years guiding groups in Patagonia, integrating geography, history and cultural knowledge into his tours. He is trained in eco tourism, Leave No Trace techniques, and holds his Wilderness First Responder certification. Besides his obvious interests in trekking, mountain and ice climbing, he also enjoys mountain biking and horseback riding. With his first forays into rock climbing school in the central Chilean Andes, Jaime began to explore its mountains and interpret its geography, getting to spend more time in the outdoors in the city. He is a devoted lover of nature and mountains and enjoys using each field trip as a new opportunity and space for meditation. Paolo spent his early childhood in mountainous New Mexico and it left him with a lifelong desire to roam the hills. Even after saying goodbye to the Sandias and moving to Pennsylvania at the age of seven, he kept his love of the mountains alive through skiing. Paolo returned to the West for college, studying economics at the University of British Columbia and exploring B.C. 's Coastal Mountains. Outside of North America, Paolo enjoys spending time in the Andes to climb, ski, trek, and perfect his Spanish. Paolo has his Avalanche II, Outdoor Emergency Care, and CPR certifications. He is excited to start the AMGA guide track in April 2018. Brett grew up climbing in the northeast, cutting his teeth at classic venues such as the Gunks, the Adirondacks, the Catskills, and the White Mountains. Since then, climbing has taken him throughout North America, with trips and expeditions to the central Alaska Range, the Waddington Range of British Columbia, the Canadian Rockies, and throughout the American West. He is always excited to share his passion for the mountains with others. Brett has guided throughout the front and central mountain ranges of Colorado, as well as in the central Alaska Range on Denali. He is an AMGA Apprentice Rock Guide, certified Single Pitch Instructor, holds current WFR certification and Level II AIARE training. Willie spent his youth climbing in Northeast Patagonia with his father and twin brother, Damian. This served as a strong background for a developing climbing career, which took off when he and Damian moved to the States at age 21. They headed straight for the big walls of Yosemite, where in the years to follow they made over 40 ascents of El Capitan. Each year Willie has returned to Argentina to guide trips on Aconcagua, a mountain which he has climbed over 50 times. These ascents include the difficult South face, and a speed record which held for five years. In 1995, he made an impressive first ascent of the North face of Trango Tower in Pakistan. He has since led over 20 Himalayan expeditions, including nine Everest summits, Cho Oyu, Ama Dablam, an attempt on the North face of Jannu, and a new route on Nuptse, dubbed The Crystal Snake, which earned him and Damian the prestigious Golden Piton Award. Willie has also set speed records in Africa on Mt. Kilimanjaro and Mt. Kenya, with his brother has made three attempts on the highly coveted Pakistani peak Latok 1 and has done first ascents on the big walls of Baffin Island. Having also climbed dozens of Bolivian and Peruvian peaks, he has earned a place among the elite in the world of high altitude alpinism. Willie is a fully sponsored member of the North Face athlete team, and a certified AMGA Rock & Alpine Guide. He is currently pursuing alpine and ski certifications, while spending his winters as a ski patroller in the Wasatch mountains of Utah. Sharon attended college in Seattle and began climbing with The Mountaineers in 2010. She immediately fell in love with the sport and lifestyle, and has climbed rock, snow, and ice from Canada to Mexico to South America, but still believes the best alpine climbing can be found in the beautiful North Cascades. She enjoys instructing and introducing others to the mountains, and is excited to join the Madness. Sharon is an AMGA Certified Single Pitch Instructor and a Wilderness First Responder, and is actively pursuing further AMGA certifications. Tod Bloxham was born and raised in Washington State, has been climbing and skiing the backcountry and logging hundreds of ascents of rock, ice and ski routes in North America and abroad since 1991. Life in the outdoors and work must coexist for Tod; professionally, Tod has been guiding since 1999, is a certified AMGA Alpine Guide, AMGA Rock Guide and AMGA Rock Instructor, a Wilderness First Responder and a AIARE L3 Avalanche Forecaster. Spending time in the wilderness suits Tod best; he is either with his wife showing the wonders of the outdoors to their two girls, sharpening his skills on alpine and trad routes, rafting big water rivers, or helping people discover that the outdoors and climbing can be a lifelong pursuit that is inspiring and invigorating. Peter grew up in Washington and started spending time in the mountains at a very young age. As a teenager, he started climbing and skiing Washington’s volcanoes and peaks. Peter's rock climbing, ice climbing and and skiing has taken him all over the west coast as well as to Canada, Japan and Thailand. Peter is a Wilderness First Responder. He has completed his AMGA rock guide course and is an Apprentice Rock Guide. He is also AIARE level 2 certified. He will be taking his AMGA Alpine Guide Course June 2018 and is planning on taking his AMGA Ski Guide Course in the winter of 2019. Ted Callahan has been with Mountain Madness since 2000, leading expeditions in the Cascades, the Caucasus, the Andes, the Nepalese Himalaya, and the Pamir Mountains of China. In addition to guiding, Ted is an anthropologist and since 2006 has conducted research among Kyrgyz yak-raising nomads in the Pamir/Tian Shan regions of Kyrgyzstan, China, Tajikistan and Afghanistan. A Fellow of the Explorers Club, Ted is also a published writer and his articles have appeared in numerous magazines. He speaks Chinese, Spanish, Kyrgyz and Persian. In 2016, Ted and his partner were awarded grants from the New Zealand Alpine Club and the Mount Everest Foundation to attempt a new route alpine style linking two 7000m peaks in Afghanistan's Hindu Kush. Viviana Callahan was born and raised in Patagonia, Chile. She has been mountaineering since age 18 and guiding professionally for over 12 years in the Chilean Andes and Aconcagua, Argentina. Viviana is a NOLS mountain instructor, level 2 (training standard UIAA) ENAM, and Wilderness First Responder. She has done multiple expeditions around the world, including the first Chilean Women's Expedition to Dhaulgiri in the Himalaya, several first ascents in the South and North Ice Field of Patagonia, Cordillera Blanca in Peru, the Alps, Pyranees, Alaska, and the Andes. Viviana leads our Aconcagua and Patagonia Adventure trips. Alfredo was born in Mexico City but moved to Pachuca, Hidalgo State, known as one of the most important cities for the Mexican rock climbing scene. He has been working for Hector Ponce de Leon and Mountain Madness for almost seven years on the Mexico Volcanoes trip. When travelling abroad, Peru and Argentina are among his favorite climbing destinations. When Alfredo is not guiding, he also works as instructor leader for Outward Bound México, mostly with youth-at-risk courses in Mexico City. He is also an MTB biking guide and spends his free time developing new routes throughout Mexico. Alfredo always attends to the smalls details on any trip and enjoys sharing the mountains of his home country with clients. “Nacho” is a native born Ecuadorian and started to climb at the age of 12. With his decades of experience he has advanced to the highest level of guiding with certification as an IFMGA guide and instructor. Into his long list of climbs, the most representative ones are the ascents in Peru like Piramide de Garcilazo South Face, Caraz I South face, Cayesh west face, and Chacraraju Este south face. He also has an impressive list in Bolivia, like the West Face of Huayna Potosi in 4 and 30 minutes and difficult routes in the Condoriri Massif. Mallorie Estenson is an avid rock climber and mountaineer based in Bellingham, Washington. She found climbing during her studies at Western Washington University and has climbed throughout Washington State, Smith Rock and as far south as Potrero Chico, Mexico. While she loves the thrill of sport climbing, she believes that nothing compares to the freedom of climbing in the Cascades. Mallorie is actively pursuing certifications to become an AMGA Rock Guide and holds Wilderness First Responder and AIARE Level One certifications. Ossy was born and raised in Ecuador and knows his country's peaks intimately. He has climbed Lenin peak, the difficult west face of Huayna Potosi, Pumori, Aconcagua's south face, in the Dolomites, and throughout South America. Recently he has succeeded in reaching the summit of Manaslu and Everest, both without oxygen. Ossy has guided five of the Seven Summits, including Mountain Madness' successful 2017 Everest expedition. Juliana has been mountaineering in Ecuador since the age of 15. She is the first female Ecuadorian Mountain Guide holding ASEGUIM certification and has risen to the post of President of Ecuadorian Mountain Guide´s Association. As a climber, Juliana has reached many summits in the Andes, has first ascents in both Peru and Bolivia, and was recently a member of a Gasherbrum II expedition. She is currently in the last stages of achieving UIAGM certification, the highest internationally recognized ranking in the guiding industry. Dodge grew up skiing, hiking, and climbing both rock and ice in the White Mountains of New Hampshire. Since cutting his teeth in New England, Dodge has climbed extensively along the West Coast from Squamish to Rainier, with multi day aid climbs in Yosemite and cragging in Joshua Tree. Dodge is an Apprentice Rock Guide, Single Pitch Instructor, Apprentice Alpine Guide, Wilderness First Responder since 2015 and is AIARE Pro 1/AAA Level 2 certified. He began climbing in his home country of Ecuador at the age of 11. Ramiro often spends his time climbing in the southern Andes of Peru and Bolivia when not in Ecuador. Among his notable ascents, he has climbed Aconcagua by the Polish Glacier Route, a variety of climbs in the Alps, and Pumori in the Himalayas. As a journalist he particularly enjoys sharing with friends, family and acquaintances, his two main passions in life: mountaineering and outdoor photography. He has been guiding with Mountain Madness since 2006 and brings the expertise of an IFMGA/ ASEGUIM certificate to all his trips. Alex was born and raised in Seattle, Washington where he found his love for wild and remote places in the Cascades early on. He’s always on the lookout for hidden gems when climbing, hiking, and skiing. Whether in Washington, Alaska, British Columbia, the American West, or South America his passion fuels his desire to fully experience these wild places. When not in the mountains, Alex enjoys live music, cooking, and pouring over guidebooks. Alex is pursuing AMGA Rock and Alpine certifications and holds Wilderness First Responder, LNT trainer and AIARE level 1 certifications. Juan Carlos was born in Santafé de Bogotá, Colombia. For more than thirty years, Juan Carlos has traveled around the world guiding and climbing in Nepal, Russia, Africa, the Alps, the Spanish Pyrenees, Tibet, India, China and the Andes. But, all roads lead him back to his home country, Colombia, where you will enjoy his expertise. Juan Carlos speaks Spanish, English, Danish, and Brazilian-Portuguese. Originally from Maine, Thomas has recently been splitting his time guiding in the mountains of California, Washington, and Alaska. Living in the Eastern Sierra, and a tiny town outside Mt. Rainier National Park, has provided plenty of opportunity to read a ton of books, watch some bad movies, run and maintain an awesome sunburn. Thomas has had the good fortune to guide in New Zealand, South America, Mexico, California, Washington, and Alaska. He has received training and certifications from NZMGA, AMGA, MSC, and AIARE. Paul Guerra is passionate about adventures and the outdoor life. For the last 20 years it’s become a fundamental part of his life. Now he shares all his experience and passion for what he does with our guests. He is part of the Ecuadorian Mountain Guide Association “ASEGUIM” and he's in the process of obtaining the “IFMGA” certification. As a mountaineer and climber he has climbed in many places such as Patagonia, the Himalayas, the Peruvian and Bolivian Andes, and throughout his home country of Ecuador. Angela has guided for 25 years throughout North and South America, Asia, Indonesia, Antarctica and Europe. She is one of only 8 fully certified women IFMGA/AMGA Mountain Guides in the United States. She has guided ski mountaineering trips on the Antarctic Peninsular and well over 20 high altitude expeditions to the Himalaya, Karakoram, Andes and Denali. She’s ski traversed across Lapland, reached the south summit of Mt. Everest and guided 5 of the 7 summits. Angela has a Master of Arts degree in International Mountain Conservation and many of her endeavors involve service work or raising funds for non-profits who are doing good things for small mountain communities. She is on the AMGA Instructor Team and works for Telluride Helitrax in the winter season. Angela is proudly sponsored by Marmot, Sterling Ropes, Metolius Climbing and Julbo. In 2011 she was the recipient of the AMGA “Guide of the Year Award." Casey Henley grew up and learned to climb and ski in the Canadian Rockies. He is the Head Instructor for the Climbing & Skiing Programs for Plattsburgh State University's Expeditionary Studies Degree Program. He has guided on 6 of the 7 summits, as well as Mt. Logan (with ski descent), Ama Dablam, Imja Tse, Cho Oyu, the Mexican Volcanoes, in Pakistan's K2 area, Patagonia, the St. Elias Range's peaks, and many others. He is known for his mellow, friendly, teaching style, and loves to share his passion for remote and wild mountain areas. Arthur was born and raised in in Madison, Wisconsin, but recently relocated to the mountains of the western United States. His practice as a mountain guide is rooted in his deep connection to the natural world, and passion for facilitating unique experiences in the alpine. Arthur is a Wilderness First Responder, Leave No Trace Master Educator, and AAA Level 1+2 Avalanche Certified. He holds an undergraduate degree from Prescott College, and is pursuing certification through the internationally recognized IFMGA in Alpine, Rock, and Ski disciplines. Arthur is excited and grateful to have you as a part of the team on your next adventure with Mountain Madness. Born in Washington, Kyle grew up in the mountains of Colorado. Like a salmon, he has returned to his homeland of the Cascades, where he went from being an occasional climber to "I think I'm going to live in a van so I can do this more". Additionally, he is enthusiastic about music, farming, food, and sustainability. He is a Single Pitch Instructor, Wilderness First Responder, and AAIRE Level 1 certified. Born and raised in Ecuador, Joshua began climbing at the age of ten. As a climber, he has summited peaks in the Andes, the Alps, the Dolomites, the Himalayas and Tien Shan mountains; most notably: Pumori Peak in Nepal, the South face of Aconcagua in Argentina, Khan Tengri in Kyrgyzstan, among others. At the same time, he has established first ascents in Nepal, Ecuador and Peru. As a guide he was trained initially in Ecuador obtaining the ASEGUIM certification and later he completed his UIAGM/IFMGA certification through the international program of the ENSA (National School of Ski and Alpinism of France). Also he is a Wilderness First Responder. Joshua travels around the world helping climbers to achieve high altitude summits like Everest or Aconcagua but he also enjoys technical guiding in the Alps. He is currently the Technical Director of the Ecuadorian Mountain Guides Association ASEGUIM where he trains and mentors new aspiring guides. Outside of the mountains he has a B.A. in Culinary Arts and he is a salsa dancer. In 1987 KG (James Kagambi) began his guiding career in Kenya as a NOLS filed instructor. His patience and teaching ability grew from his experience as a grade school teacher, coaching sports, and teaching traditional Africa music. Since his first trips as a guide he reached the ranks of a senior mountaineering instructor at NOLS. In addition to his work at NOLS, he leads Mountain Madness trips to Mount Kenya and the Rwenzoris in Uganda. He has also completed three of the Seven Summits and in 1992 represented Africa in the U.N Peace Climb for the World on the Eiger. KG has summited the Eiger three times, was the first black African to summit Denali in 1989, and was the ﬁrst black African to summit Aconcagua in 1994. He is actively involved in training Kenya’s mountain rescue teams. Most recently he had the pleasure of meeting Kenya’s president after carrying the 50th Anniversary flag celebrating the country’s independence to the summit of Mount Kenya. Zach grew up climbing in Fairbanks, Alaska. He graduated from Colorado College with a double major in Chemistry and Geology. Zach now follows the seasons, spending his summers ranging in his van from Alaska to Washington and his winters in Colorado. He has established first ascents ranging from ice routes in Alaska to rock routes in the Waddington Range. Zach is currently an AMGA certified Single Pitch Instructor and working towards certifications as an AMGA rock and alpine guide. Zach also enjoys romping with his dog Lucy and doing crosswords. Josh is a mountain and ski guide from Durango, CO. He guides all types of rock climbing, alpine climbing and backcountry skiing. Josh is an American Mountain Guides Association Certified Rock Guide, Assistant Alpine Guide, Assistant Ski Guide and has IFMGA Aspirant Status. In addition to guiding, Josh is an AIARE Level 1 & 2 course leader, AMGA Climbing Wall Instructor Program Provider, AMGA Single Pitch Instructor Program Provider, and he instructs medical courses for Wilderness Medical Associates. He has taught for numerous nationally recognized organizations and worked as a guide on four of the seven summits. He helps coordinate the Flight For Life Avalanche Deployment team in the San Juan Mountains of CO and is a Technical Team Member, Training Instructor, and Winter Response Team Coordinator with La Plata County Search and Rescue in Colorado. Mara’s world lies in the remote and high peaks of the world. She started out researching the brain at high altitude for NASA, based at Everest base camp. This led to her managing climbing logistics on the mountain for over a decade. She’s assisted with Discovery Channel, the North Face, and on some of the highest rescues on the mountain, often aiding from above the icefall. In her down time, she organizes trail races and running trips across the Himalaya and the Alps, and works at developing local running talent across Nepal. She’s climbed on Manaslu, Ama Dablam, run speed ascents on Aconcagua, and stood on the podium in the Everest and Kathmandu Marathons. She holds the Mountain Leader certification through the British system as well as the American WFR. And she’s most passionate about sharing her Himalayan paradise with those venturing in for the first time! Alejo fell in love with the mountains in his early years as a boy scout, and became a proficient rock climber in his youth. Through these activities, he met the friends that helped him summit Ecuador's famed peak Cotopaxi at age 14. Since then, Alejo has spent countless days in the mountains and has shared this love with many aspiring climbers. He has climbed in Colombia, Ecuador, Peru, Bolivia, Argentina and recently did some serious alpine climbing in the Alps as part of his training to obtain his UIAGM certification. Alejo is the second Ecuadorian guide to achieve full UIAGM certification, one of very few US-certified Wilderness Emergency Medical Technicians (WEMT), and a certified member of the ASEGUIM. He also works as a climbing, rescue, and outdoor medicine instructor. He enjoys traveling, hiking, scuba diving, running and is a pretty darned good cook. Ricardo first began climbing mountains at the age of 18, and so discovered his passion for the mountains, caving and the outdoors. Born in Mexico City, he has worked for Hector Ponce de Leon, since 2009, guiding in the Volcanoes of Mexico, the Cordillera Blanca in Peru, as well as on Kilimanjaro in Africa. When climbing season is over, you can find Ricardo, also a professional caver, exploring, prospecting and developing new projects all around Mexico. Ricardo likes to spend his free time travelling around the country, mountain biking, canyoneering and diving. A certified Wilderness First Responder, Ricardo enjoys mountain guiding and sharing the wonders of his beautiful home country of Mexico. Ben has more than 100 ascents of Kilimanjaro. 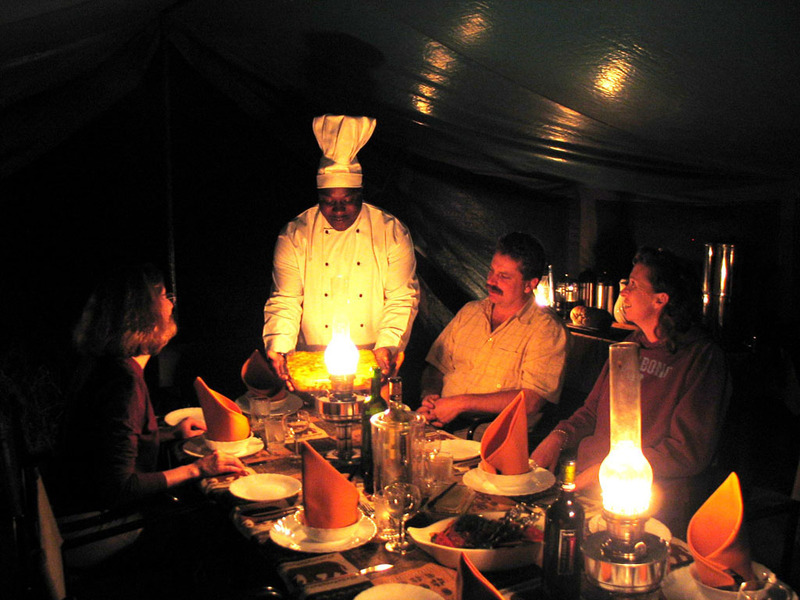 Ben has become our expert guide on the mountain and safari, and one of Tanzania’s premier guides. He enjoys sharing his extensive knowledge and passion of the area’s natural history, and providing his guests with a local’s perspective on Tanzanian culture and history. Ben was born in a village on Kilimanjaro and went to primary and secondary school and eventually attended Seminary in Arusha before becoming a safari guide and then a mountain guide. He is fluent in English, Chagga, Swahili, Maasai and French. Additionally, he knows countless riddles and is a bit of a card-shark. Ben’s professionalism, knowledge, and warm personality make him a favorite. Chris Marshall has been guiding and instructing in the mountains since 2006. He earned a BA in Wilderness Leadership and Geography from Prescott College in 2005, and an MA in Experiential Education from Prescott College in 2011. He has worked as an Associate Faculty member for Prescott College in the Adventure Education department since 2007, instructing such classes as Wilderness Leadership, Avalanche Forecasting, Rock Climbing, Alpine Mountaineering, and Ski Mountaineering. At home on rock, snow, and ice, Chris is actively pursuing IFMGA certification. He is an AMGA Aspirant Ski Guide, and has been trained in the rock and alpine disciplines. He holds a professional Level 3 Avalanche Certification. A highlight of Chris' personal experience is an expedition funded by the American Alpine Club to the Neacola Mountains in the western Alaska Range. Sean grew up in Austin, TX where he developed an unlikely love for rock climbing at the ripe old age of 9. After spending most of his time at the gyms and limestone crags around his home, he started to set his sights on bigger objectives. Summer trips to Colorado fueled his passion for the mountains until he lit out on his own and headed west. He has been guiding and instructing all over the US but recently landed more permanently in Seattle. Outside of climbing, Sean teaches and enjoys creative writing, music, and fly fishing. Brian is originally from New Jersey but now splits his time between Salt Lake City, UT and Seattle. Brian works as a Ski Patroller for Snowbird in the winters, and is an AMGA Certified Ski Guide. Brian started guiding in 2009, instructing 24-day Ski Mountaineering Courses and day rock climbing trips in Southeast Alaska. Brian guides for us on Aconcagua and throughout the Northwest. When Brian is not guiding, he can be found looking for every patch of snow he can find to ski, and planning trips to new destinations. Nick guides year-round across North America. Based in Utah during the winters Nick stays busy running office operations for one guide service, dispatching and forecasting for another and guiding. On skis he guides alpine touring, snowcat and heli-skiing. During the spring you can find him skiing Cascade volcanoes in the Pacific Northwest before heading to the land of the midnight sun to guide expeditions on Denali, the top of North America. Summertime and early fall means mountaineering and alpine rock climbing in Washington’s beautiful Cascades. With a bachelor’s degree in Environmental Studies and Biology, Nick is a Wilderness First Responder and pursuing certification as an AMGA (American Mountain Guides Association) Alpine and Ski Guide, he is also pursuant of AAI (American Avalanche Institute) Pro 2 certification; the highest level of formal avalanche education offered in the US and AIARE (American Institute for Avalanche Research and Education) Instructor certification. Nick is also a certified AMGA single pitch rock climbing instructor. Born and raised in Ecuador, Gaspar offers expert insight into the culture and mountains of his home country. He has climbed in the Alps, Venezuela, Colombia, Ecuador, Peru, Bolivia, and the U.S. He has first ascents in both Bolivia and Ecuador. He was trained as a mountain guide in Bolivia and Chamonix, France and holds ASEGUIM certification. He is the director of the Mountain Guides School from Ecuador when not guiding in South America. The first thing you notice about Ian is his never-ending stoke to be sharing the mountains with people, whether on rock, on glaciers or on skis. His passion to be out in the mountains has been known to spur people to greater heights. Ian is an internationally licensed Alpine, Rock, and Ski mountain guide (IFMGA/UIAGM). Ian's experience stems in part from having established over a half-dozen first ascents in his home range of the Cascades, as well as opening new routes in farther-off regions such as the Waddington Range, Patagonia and the Alaska Range. Ian has also authored a local climbing guidebook entitled SuperTopo: Washington Pass Climbing and is a writer for OutdoorGearLab and Climbing Magazine. Ian is AIARE Level III certified, a Wilderness First Responder and is an AIARE Level 1 and Level 2 Course Leader, and a LNT Trainer. Boniface Nkunda has been working in the African tourism industry since 2004, starting as a porter and working his way up through assistant guide, head guide, and now assistant expedition leader. He first wanted to climb the mountians because he was born very close to Mount Meru, and his mother was born on the slopes of Mount Kilimanjaro. His favorite thing about guiding is making clients' dreams come true. He's an avid mountain bike rider, enjoys reading books, and if he could be any animal, he'd be an African elephant. Born in the US and raised in Israel, Zack's love for the mountains began while rock climbing and canyoneering around Jerusalem and the Judean desert. He discovered trad climbing, before an early trip to Wadi Rum in Jordan sparked his continuing journey to develop a diverse set of mountain skills. Today, he spends winters in the Colorado Rockies and summers in the North Cascades while actively perusing certification as an IFMGA certified American Mountain Guide. Zack is AMGA trained in Rock, Alpine and Ski disciplines, a AIARE Level 1 Avalanche instructor and Wilderness First Responder. Born and raised in Edmonds, WA, Jacob's father gave him his first ice axe at age nine. He's been climbing in the Cascades ever since, getting to know the character of the range in all seasons. Jacob's pursuit of climbing has taken him all across the western United States, and to Canada and Mexico. Jacob is certified in AIARE 1 and is a Wilderness First Responder. Always willing to share the outdoors with newcomers, he is excited to be a part of the Mountain Madness team. Hector has successfully guided climbers to the summits of Cho Oyu, Aconcagua, Alpamayo, Huascaran, Illimani, Illampu, Huayna Potosi, and the Mexican Volcanoes, to name a few. Hector has a long list of accomplishments such as ascents of the south face of Shishapangma and Aconcagua. 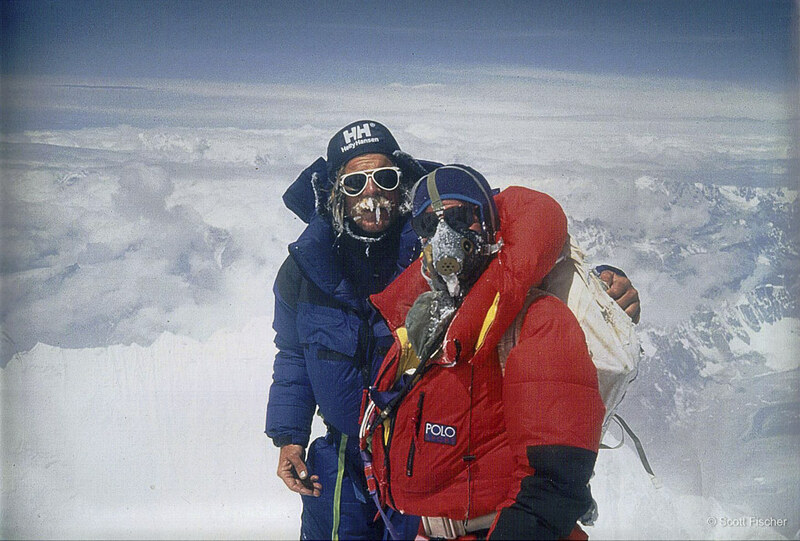 Hector has been successful with climbing Everest, and Gasherbrum II in the Karakorum. He has a special quality of helping other people reach their goals in the mountains. His free time is spent climbing in Yosemite and biking in Mexico. Mark started climbing on the east coast in northern New York's Adirondack Mountains, while attending SUNY Plattsburgh's Expeditionary Studies program. After moving west, Mark began his guiding career in Washington State's Cascade Range, and still guides there on a regular basis. Mark's big mountain expedition guiding experience includes peaks such as Denali, Aconcagua, Elbrus, and Orizaba to name a few. 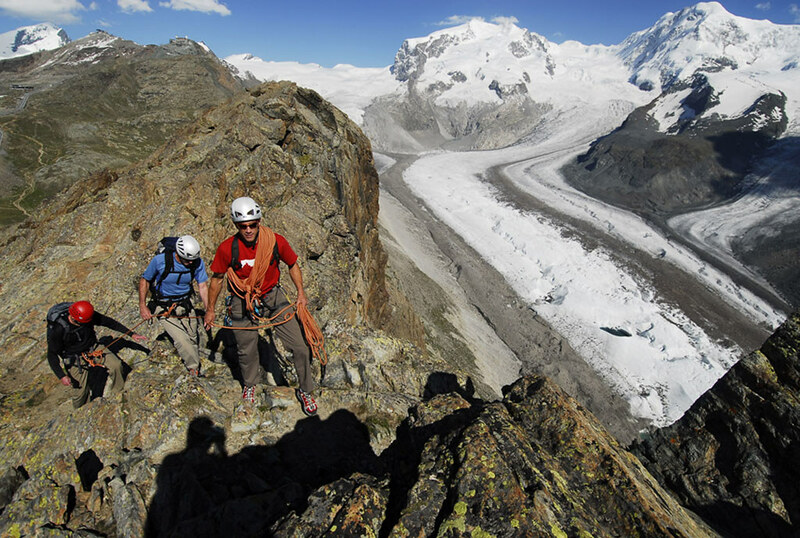 Mark is consistently involved in the American Mountain Guides Association and moving towards certification. Mark currently holds a Wilderness First Responder, Avalanche Level II, and AMGA Assistant Rock Guide certification. A native to the plains of Iowa, Marc relocated to the West in order to pursue his outdoor passions. Marc has guided from the towers of the desert southwest to the peaks of South America. His love for rock, ice and alpine climbing has taken him to the big walls of Yosemite, Rocky Mountains, High Sierras, North Cascades, Ruth Gorge Alaska, Cordillera Blanca Peru, Mexico, and Ecuador. Marc is passionate about instructing and educating climbers on all levels and is a AMGA Certified Rock Guide. During his off days, Marc enjoys spending time with his wife Sondra, painting, and establishing new alpine rock climbs in the Sandia Mountains just outside of home in Albuquerque, NM. Marc is currently pursuing full certification with UIAGM/IFMGA. Sondra thrives on guiding people outside because she sees the enrichment it adds to their lives. Because of this passion, she splits her time between teaching outdoor education to youth at a private school in Albuquerque, NM, and guiding adults in the backcountry in various locations. Both clients and students value the qualities that she brings to a trip because of her ability to teach, care for, and challenge. For 11 years she has been climbing around the western United States, pursuing multi-pitch climbing, alpine climbing, ice climbing and mountaineering. Sondra grew up in Iowa and now resides in Albuquerque, NM. She earned a BA in outdoor recreation from the University of Northern Iowa. Her certifications include: wilderness first responder, LNT trainer, AIARE level 1 avalanche and an AMGA rock instructor course. Alan has been guiding since 2008 and is IFMGA certified. Climbing has taken Alan to the Alaska Range, Andes, Caucasus, Canadian Rockies, Sierra, and the Himalaya. Visiting new places and opening new routes keeps Alan excited to climb. He has completed over 15 first ascents in various styles of climbing, including a first peak ascent in the Himalaya. When Alan is not on an expedition or guiding in the North Cascades, he can be found ice or rock climbing with his wife in Salt Lake. In 2013 Alan was awarded the Lyman Spitzer Cutting-Edge Climbing Award for his climbing achievements in Nepal. Additional certifications/education include LNT Master Educator, Wilderness First Responder & M.S. Outdoor Education. Jacob Schmitz started climbing more than 25 years ago. He mastered the big walls while living in Yosemite for seven years. He has lead over 70 expeditions on peaks over 6,000 meters. Some of his more notable guided trips include Everest, Cho Oyu, Spantik in Pakistan, Bogda Feng in China, Kilimanjaro, Vinson Massif in Antarctica, more than 25 expeditions to Aconcagua, 18 to Denali, and multiple trips to Bolivia and Ecuador. His passion and dedication are evident on every trip he leads. Dawa has been working as an Everest Base Camp trekking guide for MM for more than ten years. He brings local knowledge to each trip and knows the in-and-outs of the Khumbu region as only a resident can. When not trekking he is busy raising his kids, farming, and enjoying Sherpa life in his community near Lukla. Hailing from the Khumbu Valley, Lama is a certified IFMGA Mountain Guide and has received his Mountain Guide diploma from the Nepal National Mountain Guide Association. He has extensive expedition experience in the Himalaya and abroad with multiple summits of Everest, Cho Oyu, Ama Dablam, and other big peaks. 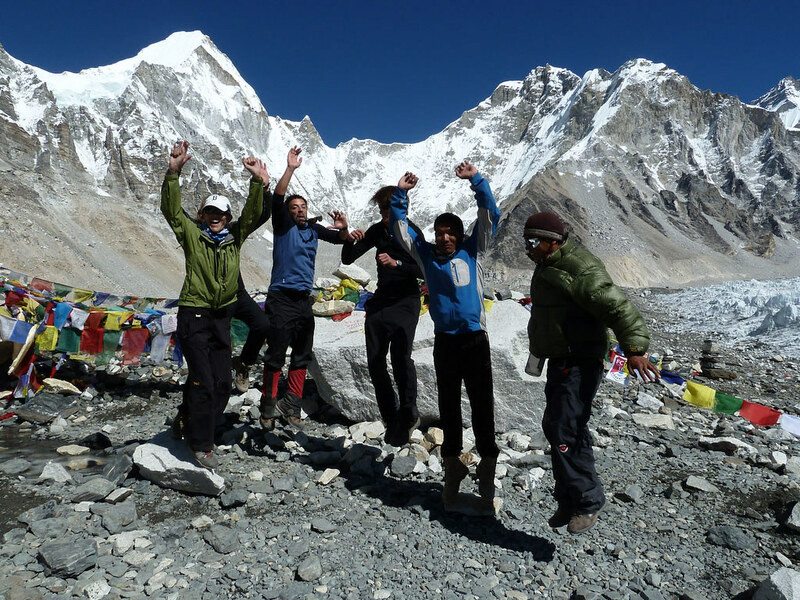 In the off season Lama teaches mountaineering training courses to local aspirants in Nepal. Pasang Tendi Sherpa was born in 1983 in Khembalung, a remote village in the hidden valley of Makalu Barun National Park. Following the footsteps of his father, he started trekking and mountaineering at an early age of 13. His experience comes not just from growing up in the mountains, though it's an advantage for any mountaineer. He is one of the few Nepalis who has accomplished a Diploma in Mountain Guide (2011), certified by the IFMGA/UIAGM. He has also completed Longline Helicopter Rescue Training in Switzerland. He has scaled many renowned summits in the Andes, Europe, Nepal, Tibet & USA. So far, he has led 11 successful expeditions to the Mt. Everest Summit from both the North and South side. He worked for the Mountain Madness Everest Expeditions in 2007 and 2008, and in 2007 he summitted Everest twice in one week. Mountain Madness is very important to Tendi since his father Khamsu Sherpa worked with Madness founder Scott Fischer in the Khumbu. He is very keen on sharing his expertise of the Himalayan culture, magnificent mountaineering, unique experiences and some untold stories of the Himalayas to those who are fascinated by adventure, wilderness and of course the mountains! Jake grew up in Northern California and has since spent the majority of his days in the mountains of Colorado and the Tetons. A passion for ski mountaineering has taken him to the Alaska Range and the Chilean Andes. Jake enjoys adventurous new objectives and likes to spend time in all types of terrain from pure rock climbs to long alpine endeavors. He is AIARE 2 certified and a Wilderness First Responder. Jake has completed rock and ski guide courses through the AMGA. Before Amber could walk, she explored the mountains and ancient settlements of North, Central, and South America on her father’s back - an archaeologist and outdoorsman. As a teenager, she made home in Turkey and Tajikistan. Amber has climbed rock and glacial routes throughout the Western United States before falling in love with Washington. Amber studied Geography and wrote her thesis on what she calls ‘Feminist Outdoor Leadership:’ a guide to facilitation strategies for inclusion and participant empowerment in outdoor adventure. She is dedicated to community building, open communication, and interactive learning and looks forward to playing outside with you! Certified Wilderness First Responder, AMGA Single Pitch Instructor and AIARE Level 1. Joe has been climbing and skiing around the world for 24 years. His highlights have been long alpine climbs in the Southern Alps of New Zealand, limestone rock climbing in Thailand, mixed climbs in Colorado and spring ski mountaineering in Alaska. At the University of Canterbury in New Zealand, Joe began his undergraduate degree in geology then finished in physical geography. Later he received a graduate degree in watershed science (snow science focus) from CSU in Fort Collins, Colorado. He became a certified alpine guide in 2003, ski mountaineering certified in 2008 and rock certified in 2009 - thereby receiving his UIAGM/IFMGA full certification. Joe is widely known for his prolific ski traverses in Alaska's Neocola, Chugach and Tordrillo Mountains. In addition to guiding, Joe works as a writer, photographer and hydrologist. He lives in Anchorage with his wife Cathy. Tino is a northwest native and calls the Cascade Mountain Range home. As an internationally certified IFMGA/UIAGM Mountain Guide, he regularly splits time between South America, Asia, Europe, Alaska and Washington - climbing, skiing and leading high altitude expeditions worldwide. Tino enjoys all facets of climbing and is equally proficient on rock, snow, ice or skis, having accomplished first climbing ascents and ski descents in the Cascades, Alaska and the Himalaya. Aside from working as a Mountain Guide for over a decade, Tino has worked as a heli-ski guide, snow safety expert, professional ski patroller and is an Athlete/Ambassador for Helly Hansen. Tino holds a degree in Human Physiology. He is a Wilderness First Responder, AIARE Level 3 Avalanche certified, and an AIARE Level 1 and 2 Course Leader. He has been a recipient of the American Alpine Club’s Cutting Edge Award, the Mugs Stump Award and the Copp-Dash Inspire Award climbing grants. Andrew grew up far, far away from the nearest mountain. As fate would have it, he now finds himself living in the heart of the Canadian Rockies, guiding, climbing and skiing year round. When not climbing or skiing, Andrew can usually be found skiing or climbing. This monotony of character may have drawbacks, but it has also seen him to the top of peaks including Fitzroy, Ama Dablam, El Cap, Denali’s Cassin Ridge and Huayna Potosi’s West Face. It is a rare occurrence to catch Andrew outside without his camera, and his photos and words have appeared in numerous national and international publications. He is a fully certified ACMG/IFMGA Mountain Guide. Innocent is a passionate trip expedition leader who was born and raised on the slopes of Mount Kilimanjaro. Fluent in various Chagga dialects as well as Swahili and English, he also understands some German, Spanish and Chinese. His passion for the natural world began by observing Kilimanjaro as a child and it grew stronger as he visited national parks on class trips. After high school he completed a 2-year tour guide training in Arusha followed by Altitude Medicine and Wilderness First Responder certifications. Today, he’s climbed Kilimanjaro over 80 times, with customers from the ages of 8 to 83! Deana has lived and worked in Nepal for more than six years and has traveled in more than 25 countries. She has explored across Asia, including Tibet, Bhutan, and Mongolia. More important than adding stamps to her passport are the friendships she builds. Deana's first encounter with the Himalayas was as a Peace Corps Volunteer in a remote mountain village. Later in San Francisco, she went on to direct cultural exchange programs. Charmed by Nepal (despite the lack of amenities), Deana returned to advise businesses and non-profits, teach yoga, and guide treks. 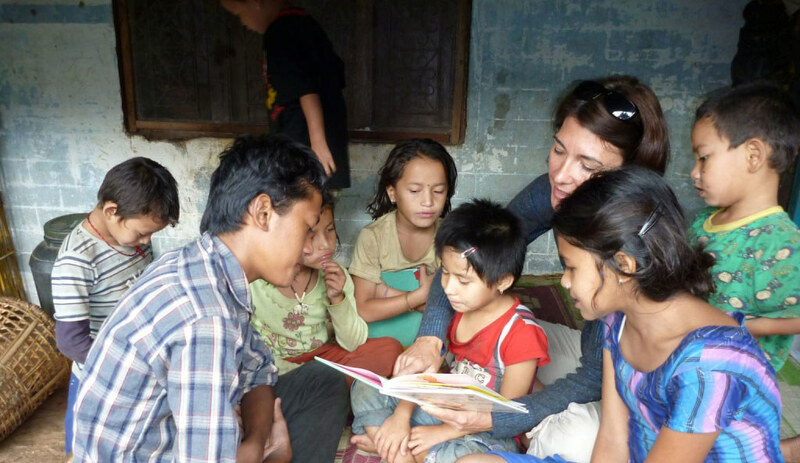 Currently when she's not guiding, she is starting an orphanage outside Kathmandu. Deana is fluent in Nepali, holds a Wilderness First Responder certification, and will brew you the best coffee in the Himalayas! She's full of stories about Tantric goddesses, the Maoist insurgency, royal massacres, arranged marriages, secret explorations, and the realities of Shangri-La.